While the use of patriotic imagery to galvanize and inspire an audience has existed long before the invention of the motion picture, in the years following the 9/11 attacks, there has been a steady increase in the use of such imagery in order to “guarantee” that people will watch a film, read a certain book or listen to certain music. While many people use these images with heartfelt intentions, there’s no denying that it can also be a very powerful marketing tool, not only in the world of politics but in the entertainment industry as well. 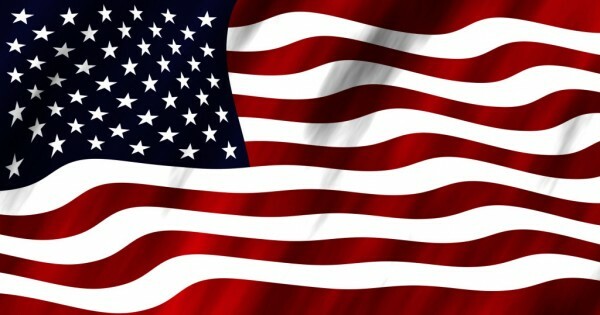 Let’s start by taking a look at a prominent symbol of our nation, the flag. Bear in mind, other nations don’t put as much value into their flag as we do. There are a few exceptions, but for the most part, in many of the older nations in Europe, you don’t see people wearing bandanas, shirts, belt buckles, contact lenses, underwear, hair dye and face paint in the colors of their flag. One reason for this could be that many of these nations use the same three colors, red, white and blue in their flag. However, there is another reason that bears a little more cultural weight. Not only was the flag a symbol of unity among the thirteen original colonies, it was also a huge sign of protest against Britain and the regime of King George III. As such, the early citizens of the U.S. put a great deal of pride and adoration into this flag. It was their flag which stood for their country that was an independent nation and not just a commonwealth of the British Empire. This mentality of pride and adoration has been carried on in the American consciousness ever since. It is because of that cultural context that people in the media, whether they were designing propaganda posters, commemorative buttons or shots in a film, could use the image of the flag to evoke an emotional response. It was especially effective when the flag is shown in some form of distress, whether it’s floating among the wreckage of a demolished warship, torn to shreds in the ruins of a brutal battle or carelessly tossed aside by whatever villain the film or television show has created to add that extra degree of nefarious intent. Showing the flag in a state other than perfectly flying in the breeze implies that the nation is in chaos, that the country has been shaken to its very foundation. On a similar note showing the flag in an imperfect state, while it still flies in the breeze, can also be used to indicate that even in the darkest hours the nation stands strong. The flag can also be used to endear American audiences to the protagonist in a story, particularly one that is being told visually. Look at the first Spider-Man film and count how many times the web-slinger is shown in front of a waving American flag. Take a look at the film Patton and rattle off how many times you’ve seen a film satirize or pay homage to the speech given by the main character while standing in front of a large American flag. Better yet, simply take a look at any depiction of Captain America. His very existence is proof at how powerful patriotic imagery can be when used properly. Like any powerful image it can be used and abused to the point where the image is met with negative reactions rather than eliciting the intended effect. The overuse of such imagery is now seen as pandering, as a cheap shot that is used to point out the emotion the audience should be feeling rather than mirror what the audience is actually feeling. This is especially applicable in an era where the Tea Party takes that sort of thing to an all new level of insanity. Case in point, Last Ounce of Courage. While this may simply be coming from the jaded perspective of a film critic, it begs the question of whether or not such saturation of patriotic imagery diminishes the power of that imagery in our culture beyond the silver screen. Given that the media of today will be what our posterity will look to in order to study what our time period what like, it’s definitely an issue worth pondering.